We have analyzed eight Y-chromosomal binary markers (YAP, RPS4Y711, M9, M175, LINE1, SRY+465, 47z, and M95) and three Y-STR markers (DYS390, DYS391, and DYS393) in 738 males from 11 ethnic groups in east Asia in order to study the male lineage history of Korea. Haplogroup DE-YAP was found at a high frequency only in Japan but was also present at low frequencies in northeast Asia, including 2.5% in Korea, suggesting a northern origin for these chromosomes. Haplogroup C-RPS4Y711 was present in Korea and Manchuria at moderate frequencies: higher than in populations from southeast Asia, but lower than those in the northeast, which may imply a northern Asian expansion of these lineages, perhaps from Mongolia or Siberia. The major Y-chromosomal expansions in east Asia were those of haplogroup O-M175 (and its sublineages). This haplogroup is likely to have originated in southern east Asia and subsequently expanded to all of east Asia. The moderate frequency of one sublineage in the Koreans, haplogroup O-LINE1 (12.5%), could be a result of interaction with Chinese populations. 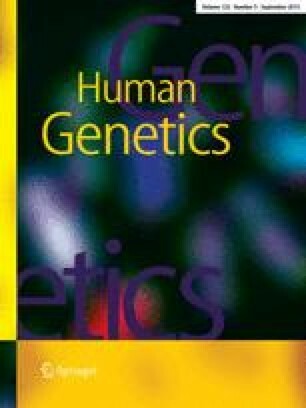 The age of another sublineage, haplogroup O-SRY+465, and Y-STR haplotype diversity provide evidence for relatively recent male migration, originally from China, through Korea into Japan. In conclusion, the distribution pattern of Y-chromosomal haplogroups reveals the complex origin of the Koreans, resulting from genetic contributions involving the northern Asian settlement and range expansions mostly from southern-to-northern China. We thank L. Roewer for providing reference Y-STR DNA samples, P. Underhill for SNP genotyping information, and D.J. Shin for his helpful laboratory assistance and DNA sampling. We especially thank T. Karafet for useful comments on the manuscript. This work was supported by a grant from the Korean Science and Engineering Foundation (KOSEF F01-2001-000-20024-0).